Halloween is tomorrow. I wanted to take this opportunity to look back at the different ways Halloween has been celebrated in Alberta since the late nineteenth century. Early newspapers offer a fascinating window into how we celebrated Halloween, ranging from private and public parties, to ‘trick-or-treating’ and pranking. 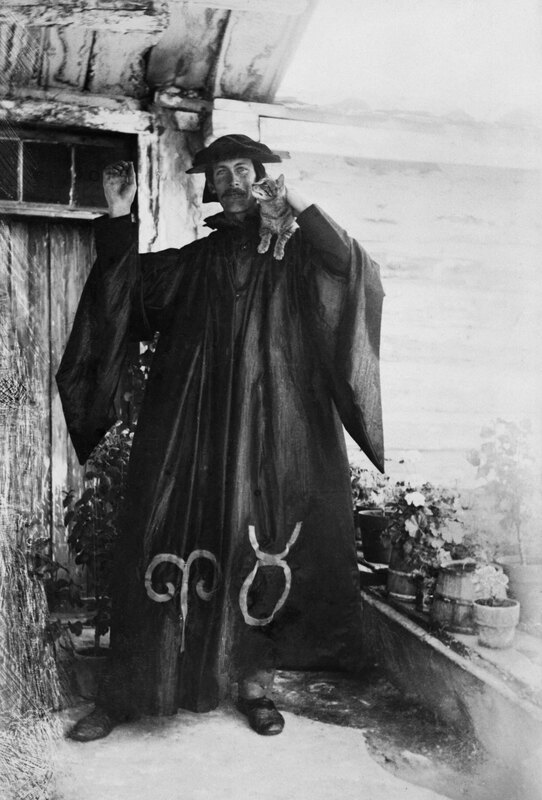 Halloween at the Wineglass Ranch near Brocket (1907-08). Courtesy of the Glenbow Archives, NA-4035-188. Like most holidays, Halloween is a fusion of ancient and modern traditions. Halloween traces its origins back thousands of years to the Celtic festival of Samhain (October 31 – November 1), which marked the start of the Celtic New Year. It was believed that the boundary between the physical and supernatural worlds broke down during Samhain, and spirits, ghosts and fairies could cross over and walk the earth. The festival was Christianized in the ninth century becoming ‘All Hallows Day’ (November 1, now generally called ‘All Saints Day’). Though Christianized, many of the customs associated with Samhain endured, particularly among the Celtic peoples of Ireland, Scotland and Wales. These cultural traditions were brought to North America by waves of immigrants and evolved into what we know today as Halloween. Aftermath of Halloween pranking in Airdrie (1930s). Courtesy of the Glenbow Archives, NA-598-12. It is also clear from newspaper coverage that different standards of behaviour were expected from boys and girls. Minor social disorder on Halloween was clearly viewed as a by-product of youthful exuberance and a rite of passage –for boys. Most newspapers were very clear that Halloween pranks had been carried out by “the boys of the town” or “the male portion of the population.” In 1914, the Didsbury Pioneer urged the “boys and girls” to “conduct themselves properly in their fun and not damage other peoples’ property,” but such statements explicitly suggesting that girls participated in pranking are very rare. The extent to which girls actually took part in Halloween disorder is unclear, but such behaviour would clearly have not been socially acceptable. Trick-or-treating near Little Smokey River (ca. 1950). Courtesy of the Provincial Archives of Alberta, A15910. For those Albertans who wanted no part in pranking, Halloween offered many other opportunities for celebration. 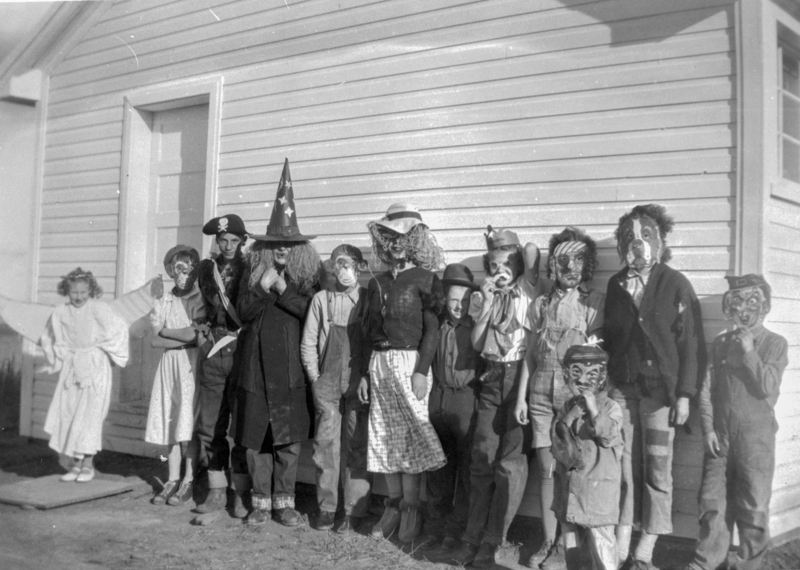 Archival photographs and newspaper stories reveal that private costume parties have been a part of Halloween fun in Alberta since the late nineteenth century. Similarly, a wide range of clubs and societies hosted costume parties for their members. The Edmonton Caledonian Society pointed with satisfaction to the Celtic roots of the holiday, inviting its members in 1908 to “celebrate this old-fashioned Scottish festival” (as late as 1919, the city’s Scots were promoting Halloween as a “peculiarly Scotch night”). During World War One, Halloween balls doubled as fundraisers for causes associated with the war effort, such as the Red Cross and the Returned Soldiers’ Fund. Such events offered people a respectable way to celebrate Halloween, free from any association with pranking or social disorder. The most famous activity associated with Halloween, of course, is ‘trick-or-treating.’ The practice of going door-to-door in costume asking for food may echo cultural traditions that date back hundreds of years to the British Isles. The use of the term ‘trick-or-treat’ – and the implied promise that giving youth a treat will stop them from taking your carriage for a joyride – appears to be a North American phenomenon. “The kids are expected to be out in full forces on their quest for Halloween treats” remarked the Western Globe in 1938, “and the old cry of ‘Trick or Treat’ will be the password.” The popularity of ‘trick-or-treating’ took off after World War Two, and the annual custom anchored itself as the most characteristic practise associated with Halloween night. From the ancient customs of Celtic Britain to the practise of dressing up and collecting candy from strangers, Halloween has undergone a significant transformation over the past several thousand years. However you choose to observe the day, have a safe and happy Halloween! Santino, Jack. “Halloween in America: Contemporary Customs and Performances.” Western Folklore 42,1 (January 1983), 1-20. 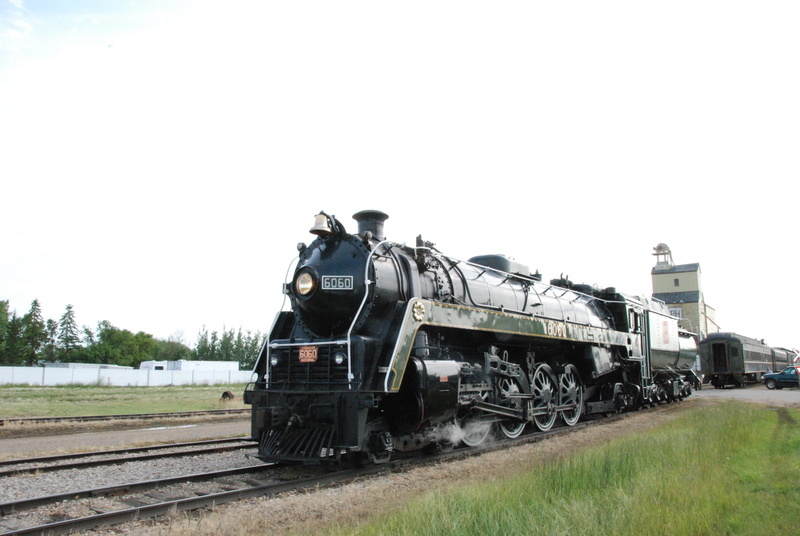 Canadian National Railways Steam Locomotive 6060 in Stettler (2009). A unique Provincial Historic Resource. As Manager of the Historic Places Research and Designation Program, one of Brenda Manweiler’s primary responsibilities is the Provincial Historic Resources Designation Program. The goal of the Provincial Historic Resources Designation Program is to identify, evaluate, and designate those historic resources that are most significant to the province as a whole. Currently there are some 360 sites protected as Provincial Historic Resources in Alberta, with several more added every year. The designation program is almost entirely driven by citizen input. Applications for provincial designation come from the public, usually the property owner but sometimes also from other individuals or groups concerned about the long-term future of a resource. Once a resource is designated, its owner cannot destroy, disturb, alter, restore, or repair it without written approval from the provincial government. But the owner gains tangible benefits, including access to conservation grants and technical advice, and the intangible benefit of knowing that a valued property will be preserved and protected into the future. A property doesn’t have to be grand or architecturally detailed, nor associated with some famous person to be designated. It doesn’t even have to be a building. a view of a path in the Reader Rock Garden, 2005. Brenda notes: “The general public seems to have such a defined idea of what a historic place can be. 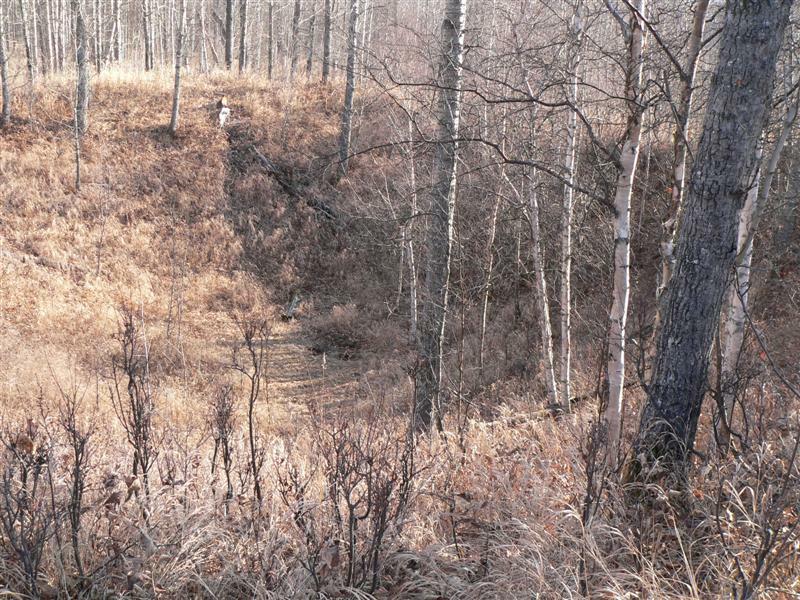 They’re thinking of homes, commercial buildings, churches, schools.” But the Alberta Register of Historic Places also includes gardens, such as the Reader Rock Garden in Calgary; buried resources such as Balzac Archaeological Site; a radar station located in Cold Lake; a steam locomotive in Settler—even a Meteorite Impact Crater, in Whitecourt. Provincial designation isn’t better than municipal designation, just different. Brenda explains: “Provincial significance is determined by looking through a pretty big lens. 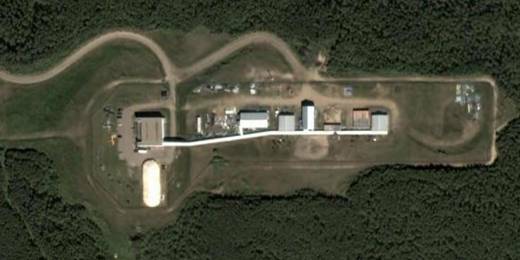 Is this site significant to all Albertans? Has the site helped shape the province into what it is today? Municipal designations have a narrower scope, a local lens to look through to determine significance.” But a municipally designated site can be just as significant as a provincial one—often even more so—within its own community context. Both levels of designation offer the same form of protection: the resources cannot be altered without approval from the designating authority. An example is Calgary City Hall, which is designated by the federal, provincial, and municipal governments. Both the provincial and municipal designations recognize the building’s significance as Calgary’s seat of government, and as an excellent example of Richardsonian Romanesque architecture. But the municipal designation also notes that it is “the earliest known example of steel-frame construction in Calgary” and that it was designed by a prominent Calgary-based architect. Designation is not just about the sites and structures; it’s also about people and how they’ve used these places. The most modest or ordinary place could be where a remarkable person lived or worked, or where some once-crucial, unusual, or game-changing human activity took place—and that’s what makes the site historically significant. One of Brenda’s favourite examples is the Owen Residence/Dominion Meteorological Station in Edmonton. Inside this ordinary American four-square dwelling was “arguably the most significant meteorological post outside of Toronto” (according to the Statement of Significance). Even more remarkable, it was operated by “Weather Lady” Eda Owen, one of the few female meteorologists in the world working at a major station. Another very modest but significant place is the Community Rest Room in Ponoka. When farm families came into town to conduct business, men could congregate in their choice of hotels, bars, and pool halls. This facility provided a much-needed retreat for women and children, offering not only toilets and showers but also a safe and social meeting place—and even a venue for political organizing. 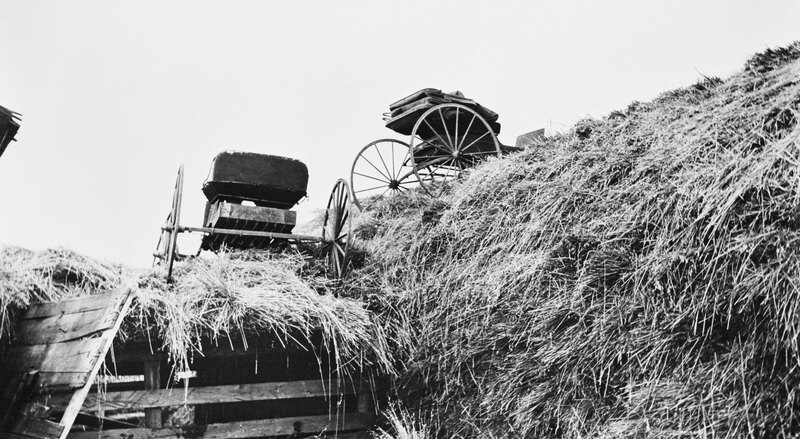 “So much of the significance associated with Provincial Historic Resources comes down to the unique stories—the events, people, and places that have helped to make Alberta what it is today,” Brenda says. The Alberta Historical Resources Foundation gives out Heritage Awards biennially. The Heritage Awards recognise individuals and groups work to conserve, protect and interpret Alberta’s rich and diverse heritage. The 2014 awards ceremony took place in Red Deer on October 16th. Our colleagues over at the Alberta Culture and Tourism blog just published an article detailing the award winners (see Heritage Award recipients give Albertans a prize). It contains details of the event, including a list of award winners. You should check it out! The ceremony was a great night where some very worthy Albertans were recognized for their work in conserving and interpreting Alberta’s heritage. Our very own Gary Chen, Heritage Conservation Advisor (and shutter-bug extraordinaire) was on the scene. We have some great pictures from the awards ceremony we’d like to share with you. The staff of the Historic Resources Management Branch congratulate each and every award winner. The tireless work they do in preserving Alberta’s heritage is welcome and appreciated, by us and many, many other Albertans. We couldn’t do what we do without the support and encouragement of people such as these. The 2014 Alberta Historical Resources Foundation Heritage Awards ceremony in Red Deer, Alberta. Wheatland County won a Heritage Conservation Award for the Gleichen Water Tower. Rex Harwood accepts the award on behalf of the county. CommunityWise Resource Centre received a Heritage Conservation Award for restoring the façade of the Old YWCA building in Calgary. Philip McCutcheon accepts the award on behalf of CommunityWise. The father-daughter team of Emerson Sanford and Janice Sanford Beck accepted a Heritage Awareness Award for Life of the Trails series of books. The Edmonton Historical Board won a Heritage Awareness Award for the Edmonton Architectural Heritage Website. Ann Hall and Leslie Chevalier accepted the award on behalf of the EHB. The Fort Saskatchewan Historical Society won a Heritage Awareness Award for organising the Peoples of the North Saskatchewan Festival. Ray Thurston accepts the award on the society’s behalf. The St. Jean Baptiste Historical Society received honourable mention in the Heritage Awareness Category for organising the Retrouvailles 100th Anniversary Homecoming. Gerry Nicolet accepted the award on the society’s behalf. The City of Medicine Hat won the Municipal Heritage Preservation award. Earl Morris (left) and Malcolm Sissons (right) accept the award. The Town of Peace River was given Honourable Mention in the Municipal Heritage Preservation category. Laura Gloor and Kate Churchill accept the award. Oliver Glanfield won an Outstanding Achievement Award for tirelessly promoting the history of northern Alberta, particularly the community of Fort Chipewyan. Marshall Rolling won an Outstanding Achievement Award for his work as a historian, curator and archivist in the community of Fairview. Glenys Smith won an Outstanding Achievement Award for her work with the Camrose Heritage Railway Station and Park since 1999. All the winners of 2014 Heritage Conservation Awards. 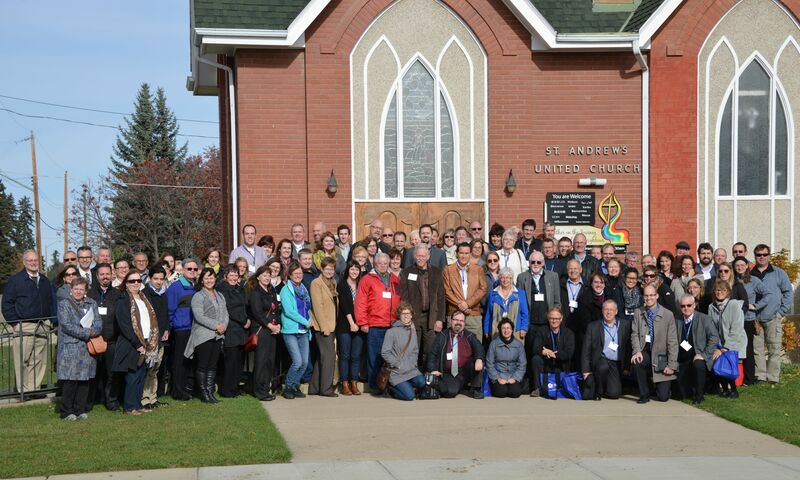 A big thank you to everyone who helped to make our first Municipal Heritage Forum held outside of Edmonton and Calgary a huge success! We are very grateful for all of you who took the time to attend, contribute presentations or assist with logistics. We hope everyone had an enjoyable time, met some new people and learned about Alberta’s historic places. We look forward to seeing many of you at the 2015 Municipal Heritage Forum that will be held in conjunction with the Heritage Canada The National Trust conference in Calgary from October 22-24. Stay tuned for information on how you can access one of the free registration passes to what is sure to be a fantastic event. 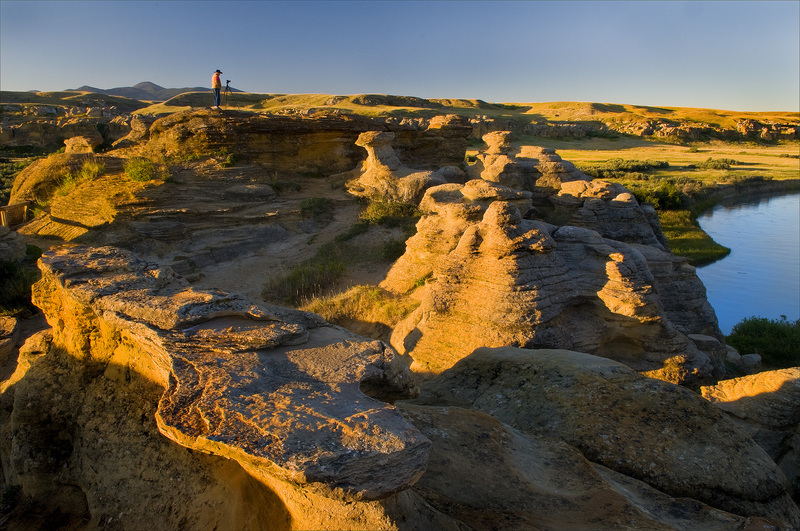 Writing-on-Stone Provincial Park is nestled into the winding valleys and coulees along Milk River in Southern Alberta. Painted and carved on its fragile sandstone walls are one of the largest collections of rock art in North America. Appropriately named, Writing-on-Stone is a rocky canvas of ancient and historic art that spans many centuries. To increase awareness of this unique piece of the past and to encourage the preservation of sensitive historic resources, a collaborative team of the Historic Resources Management Branch, the Royal Alberta Museum, and the University of Alberta initiated the Heritage Art Series project. The goal is to create artwork, like the piece depicted above, that captivates the public in order to encourage the appreciation and protection of Alberta’s past. Alberta’s rock art includes pictographs (paintings), petroglyphs (engravings), carved boulders, and effigies (rocks arranged to form shapes). Art that was applied to rock walls has a variety of functions and there are six major types in Alberta. 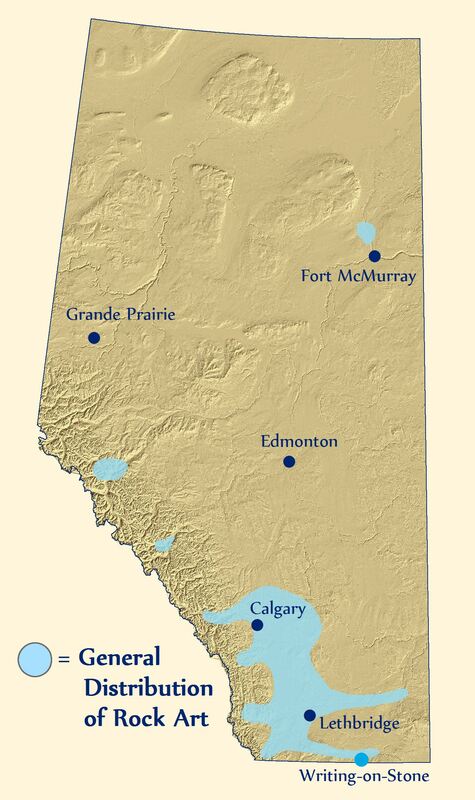 This map depicts the general extent of recorded First Nations rock art in Alberta. ‘En Toto Pecked’ involves figures that were entirely pecked out of the rock wall and this tradition of art appears in Alberta from 2500-1500 years ago. It is thought to have originated in Wyoming. ‘Vertical Series’ may be a type of rock art that acted as a communication system that related events and actors. It may be ideographic (like Egyptian hieroglyphs) with name glyphs like the Mayans of Central America. ‘Columbia Plateau’ refers to vision quest or hunting ritual art thought to be made by people originally from interior B.C. This style of rock art ranges from a few hundred to several thousand years old. ‘Foothills Abstract’ is a rock art style that consists of enigmatic shapes and motifs that may be the work of religious figures. Subjects include handprints, animals (and their tracks), and stylized humans. ‘Plains Biographical’ refers to rock art that documents events, important figures, or tallies of things acquired/exchanged by the Blackfoot and their ancestors. Lastly, ‘Plains Ceremonial’ refers to spiritually important rock art that is still of great significance to modern Blackfoot Nations. Out of respect for the power of these and other rock art images to modern First Nations, photographs of the various styles of rock art are not included here. First Nations pursued buffalo herds in the Milk River region and view the valley as a sacred place where stories and dreams were recorded on the rock walls. The earliest Europeans included a mix of traders, coal miners, and Northwest Mounted Police, the early history of which is still recorded in modern place names. Cattle quickly replaced a vacancy left when buffalo were eliminated in the late 1800s. In addition to ranchers, new irrigation techniques and canals opened up the area to more intensive cultivation. Modern users of the Milk River landscape include farmers, Kainai First Nations, oil and gas operators, ranchers, and people in the tourism industry associated with Writing-on-Stone Provincial Park and National Historic Site (the photograph below is of the morning light on the park’s sandstone hoodoos, courtesy of Robert Berdan). 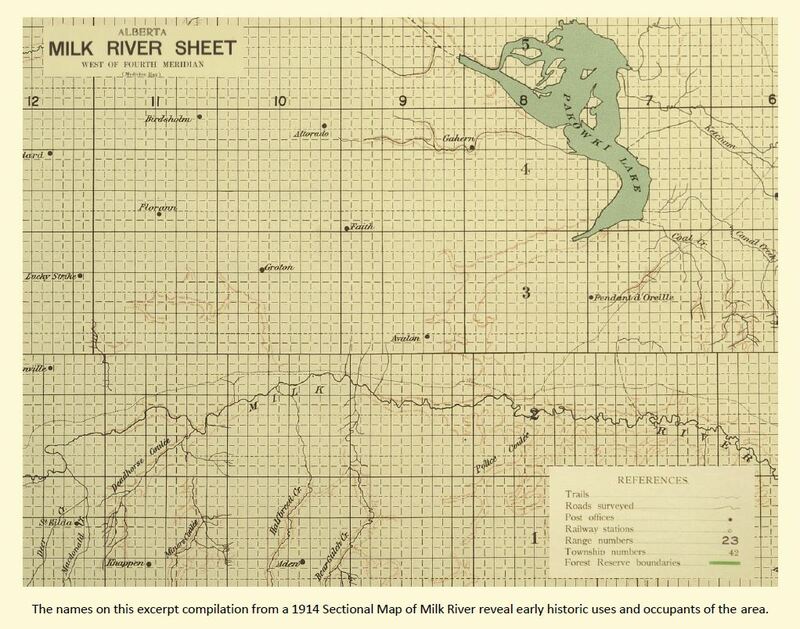 Just as the uses of the Milk River region have changed in the past, they will continue to evolve in the future. The above painting by Anne McCartney is a textured narrative of landscape change in the Milk River Valley. The background is from an aerial photograph showing irrigated fields creeping to the valley’s edge. At lower right is a looming sandstone cliff that has witnessed a steady flow of First Nations, traders, miners, explorers, and farmers passing through the valley. In the upper left is a rock art panel depicting a battle scene from the deep past. Recent vandalism of that very panel highlights the need to protect and appreciate the landscape of Writing-on-Stone. The evocative and significant collection of art at Writing-on-Stone is under constant threat. Sadly, vandalism and graffiti have defaced some of the park’s art but through education and restricted access, much of the vandalism has now been curtailed. Instilling visitors with a healthy respect for the spiritual importance of the area to the modern Blackfoot will help ensure that the landscape is protected. Natural erosion, however, is unstoppable. Much rock art has disappeared over the centuries from weathering of soft sandstone. 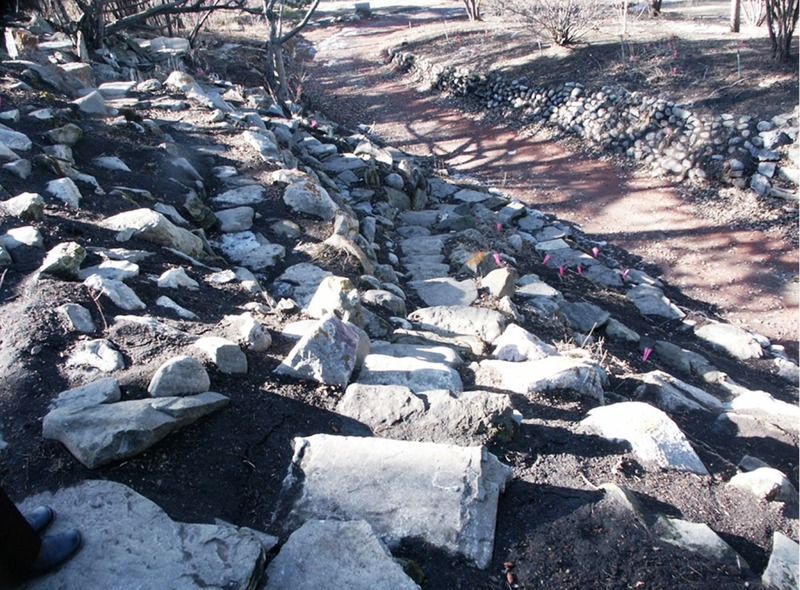 New technologies are helping to better document the art and may lead to long term methods that slow rates of erosion. The park has been a key site in North America for experimentation with techniques to protect rock art. 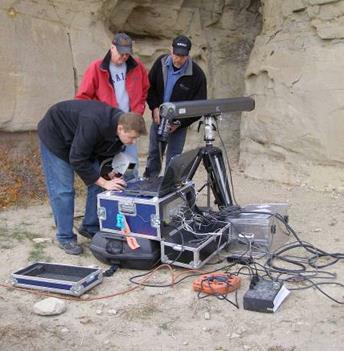 Archaeologists use laser scanners to accurately record rock art panels. Portable laser scanners have been used to record high-quality images and to produce near-perfect replicas. Artificial drip-lines and plastic caps are diverting water from some exposed panels and a consolidant has been applied in experimental non-rock art locations to test the ability to strengthen rock and prolong the life of rock art images. Note that none of the preservation measures will be applied directly to ancient images without thorough review and cooperation with the Blackfoot people. Rock art left in its natural setting will eventually be lost, but there is much that can be done to enable a prolonged period of appreciation and enjoyment from viewing the hopes and dreams of early artists. Archaeology Day began in 2011 as an initiative to recognize the work that archaeologists do and to celebrate archaeological discoveries. 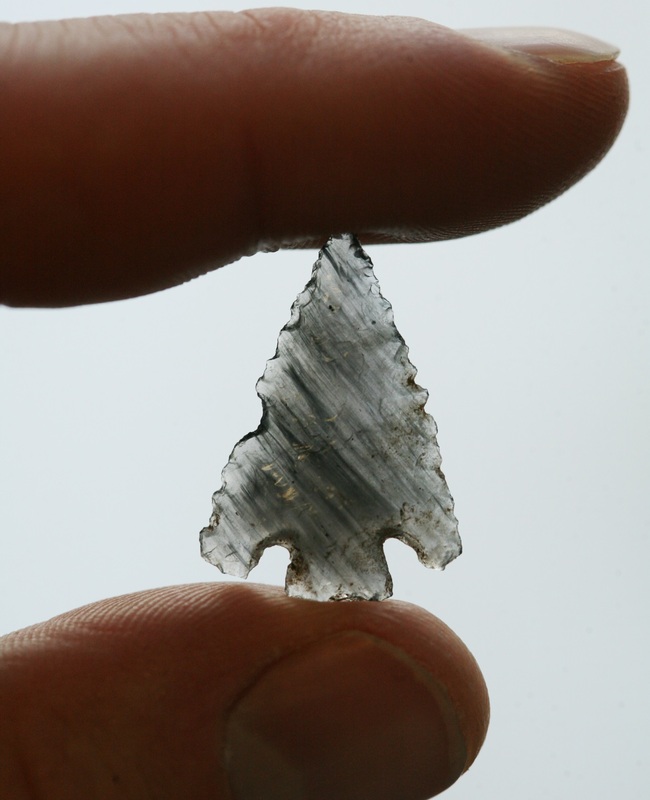 This event helps to bring public awareness to the work of professional archaeologists. The day is commemorated yearly on the third Saturday of October and was initially known as National Archaeology Day, which began in the United States. Archaeology Day has grown into an international movement and has become increasingly popular since its inception. Groups from all over the world participate by holding archaeological activities in their own areas. Tours, site digs and lectures give people the chance to experience the thrill of archaeology. Even Jeopardy! is getting on board – on October 17th there will be a special category in honour of the event. Alberta will join in on the celebrations and the Strathcona Archaeological Society, as well as the Association of Professional Engineers and Geoscientists of Alberta will be hosting a Rock and Fossil Clinic at the Telus World of Science in Edmonton on October 18. The public is encouraged to bring in artefacts and bones to be identified by professional archaeologists, geologists and palaeontologists who will be on hand for this event. Visit here for more details. For more information on International Archaeology Day, have a look at the Archaeological Institute of America’s website or blog. Radway is home to the 1929 Krause Milling Company Grain Elevator. Beside the elevator are the foundations of a once thriving flour mill: together with the elevator it was part of a grist mill operation located on a spur line from the main C.N. line. The mill exemplified the independent local flour milling industry that accounted for nearly one third of Alberta-milled flour in 1937. It was first licensed to produce 125 barrels (11,136 kg) of No. 1 flour per day. Withold Krause, a second generation Alberta grain buyer and miller, who owned several other elevators and a flour mill in Leduc, built the elevator to his own design, and then began construction of the mill, which opened in 1931.The mill was a sturdily-built rectangular three-storey frame building clad with tin sheeting painted white. A basement addition on the northeast corner housed the diesel engine that ran the machinery and the steam boiler that heated the mill. The main line shaft to drive the roller mills ran beneath the first floor. Withold Krause designed the flow line (machinery layout) inside the mill to give a flow of about 25 bushels of wheat an hour. The first floor, with solid 3 by 10 plank Douglas fir flooring, housed the tempering bin, the roller mills, and also the bagging chutes where the refinedflour ultimately finished its journey. Bags of flour were stacked for sale or collection on the east side of the first floor. The entrance to the mill and the loading platform were on the south side facing the elevator. On the second floor were the scourer and the centrifugal cloth sifters. The third floor housed a holding bin for wheat, the cylinder where the wheat was washed, and the final sifter. Milling involved a number of steps before flour was produced. Wheat cleaned in the elevator was hauled to the mill to be scoured, washed, tempered and sent to the roller mills. The wheat was run through five roller mills referred to as breaks: each ground the wheat more finely. Each roller mill was connected with a sifter for bolting (refining) the stock (the wheat after the first break). 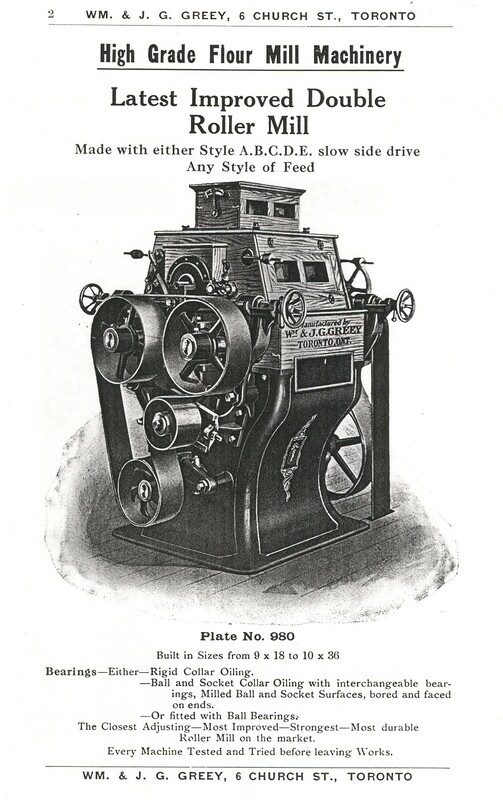 A system of numerous small elevators (cups attached to webbing fabric moving inside wooden chutes), moved the stock between machines and from floor to floor. The flour produced was given a final sifting and bagged. Krause ordered plan white bags without the company’s logo during the height of the depression as so many people wanted to reuse the fabric for clothing. 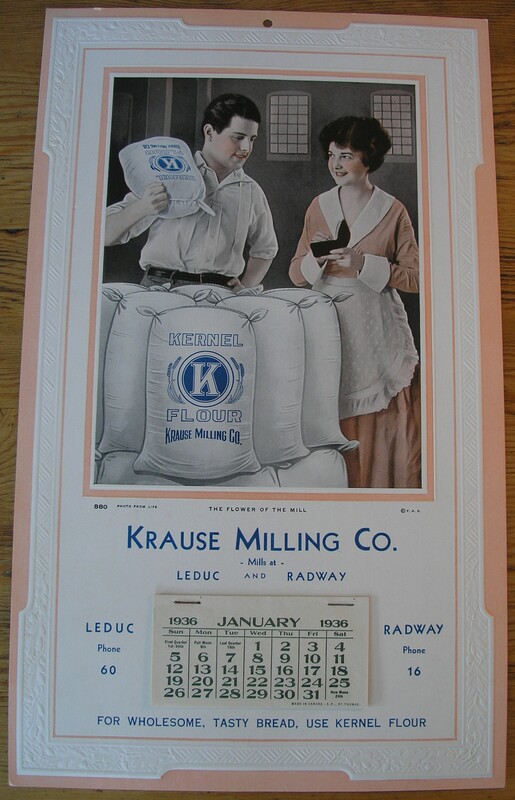 In the 1930s Krause operated mainly as a grist mill; he took in farmers’ grain at his elevator and they took home its value in flour and by-products such as shorts and bran, picked up at the mill door. Swapping wheat for flour appealed to farmers in a cash-strapped economy. At Radway the farmer did not actually get his own wheat ground. His load of wheat, weighed and graded at the elevator, was given a value in terms of Number 2 Northern Wheat (milling grade) and he was entitled to the flour products from this amount of wheat less a gristing charge of 25 cents per bushel. In his best years, 1932-1933, Krause cleaned about 50,000 bushels of wheat in his elevator and milled it into number one “Kernel” flour and “Creamo,” cream of wheat cereal. During World War II, as flour mills in Europe shut down and flour was urgently needed for the war effort, Krause and other millers had limited access to wheat. 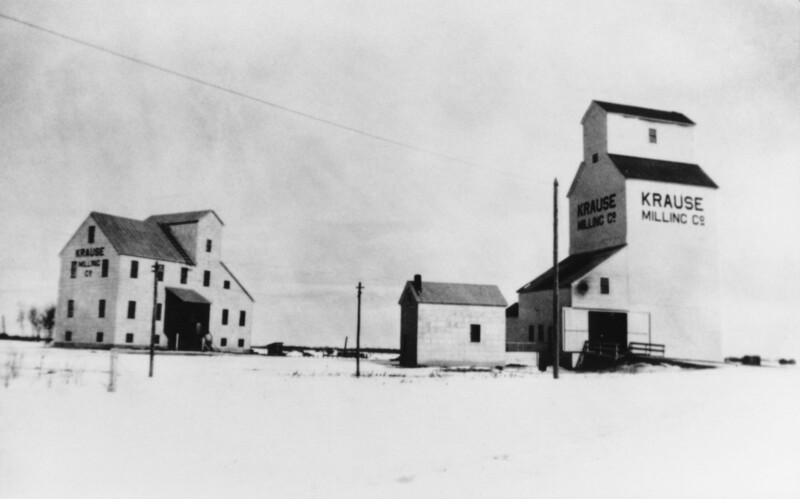 The Canadian Wheat Board allowed small millers a subsidy on flour sold domestically to compensate, so Krause concentrated on milling for sale, selling in Edmonton and from the mill door. After the war Krause sold the mill. From 1949 Fred Weder operated the elevator and flour mill business under the banner of the International Grain Company and Radway Flour Mills, respectively. There was a big change in how the mill was operated. Weder ran the mill 24 hours a day, six days a week, producing 140 pound (64 kg) jute bags of low quality unbleached flour for export to countries in the Far East starving due to the ravages of World War II.. Weder shifted the huge diesel engine aside and installed an electric motor. The mill started up at the flick of a switch, and ran quietly ensuring Radway residents got some sleep! Three two-man teams—a miller and a helper/bagger—operated the mill in eight hour shifts around the clock. More workers were needed to haul clean wheat from the elevator to the mill and load the bags into railcars. The mill crew, mostly local young men, lived in a bunk house nearby. They pushed out at least three box cars of flour a week, over triple the production of the Krause years. This new level of production took its toll on the flour mill. By 1953 the milling rollers had been pushed to their limit and all the equipment was in need of overall. Fred Weder closed the operation and put the mill up for sale. There were no buyers, and eventually it was dismantled for salvage. Today, the Krause elevator, the only remaining country elevator in Alberta that is associated with the flour milling industry, stands alone next to the foundations of the mill that it once supplied.